Azeez Makinde he is a student of ICT and computer tech he is also known as MANKIND. He is the Chairman and Chief Executive of the popular Nigeria Social Networking site called Naijaloaded.com. Naijaloaded was Started in October 2009 by Makinde a.k.a Mankind, At age 20, One of Nigeria's Formost Mobile and PC Youngest Consultant, Makinde has a vast knowlege when it get to I.T and that whats make us the Leader in our Field! He has Received many Awards and also Lovely Comment from his Fans both on Naijaloaded and on Facebook, He is an Internet Wizkid and also a Computer/ Phone Geek. He recently caused controversy on his Facebook page saying he is the richest blogger in Nigeria. Don't be that stupid person that makes money and neglects your Friends! Now, I can fight for the Spot of Richest Blogger - Argue with your Ancestors. 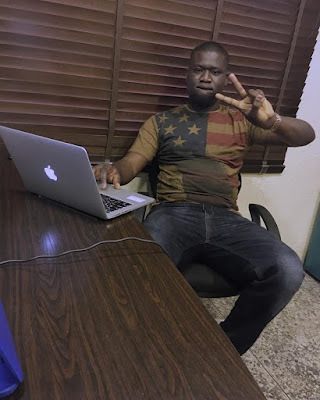 1 Response to "Owner of Naijaloaded, Makinde Azeez Claims He Is The Richest Blogger In Nigeria"